This galvanized wall mounted feeder, mounts to any flat surface. This feeder / hay rack comes in a kit and needs to be assembled. Detailed instructions come with the kit. The galvanized wall mounted horse feeder is a dual-­‐purpose feeder. It provides your horse with both hay and feed. This feeder mounts to any flat surface and can be mounted at any height to provide a proper feeding height for your horses. 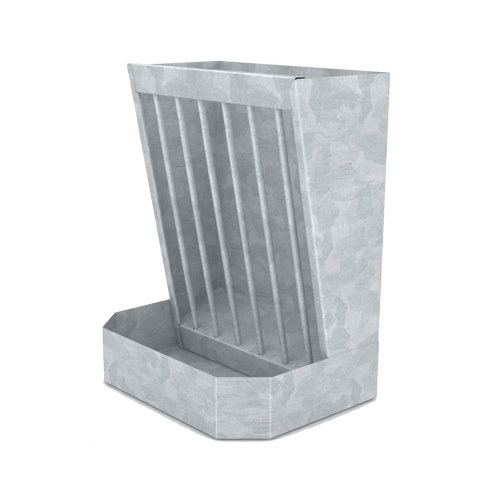 This horse feeder is designed to be durable, efficient and corrosion resistant with its galvanized construction. This unit comes in a kit and needs to be assembled before mounting to the wall. Comes with detailed instructions for easy assembly. *Note: All feeders have an enclosed back to prevent hay from falling out. - easy to put together and looks great, matching our stalls!